For the short ride to the station it's an €8 fare - but worth it as we don't have to walk in the rain or tote our bags up the hill. 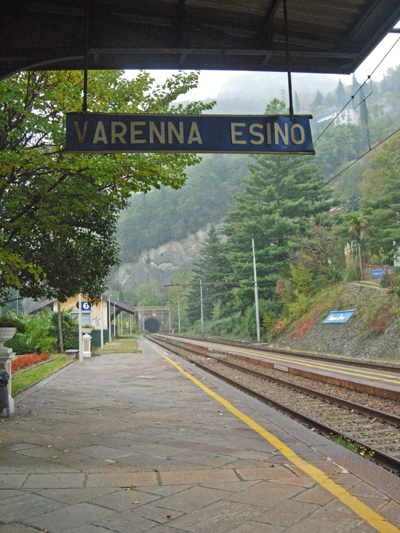 Varenna-Esino station is quite basic and even more so off-season. In summer you will find it houses the tourist office but now there is no-one not even a station master. You might be lucky and get a recorded message informing you of the next train but don't rely on that. There is a ticket machine but by the notice on the wall and by the graffiti on the machine it seems that this machine is frequently not working and in fact wasn't working today. It also only sells regional tickets so my advice would be to make sure you already have your tickets purchased before you get here, which is exactly what I've done. If the machine isn't working you can buy train tickets from a couple of stores close by, they are both shown on the diagram above the machine or you could take the advice written if desperate and buy the ticket as soon as you board the train. I really do stress that you do that as a last resort and as soon as you board go find the conductor. 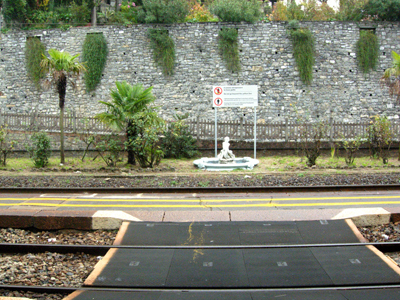 There are actually two platforms here - platform 2 is that rather narrow sliver of asphalt between the tracks. Both coming and going you'll usually find yourself having to use it. 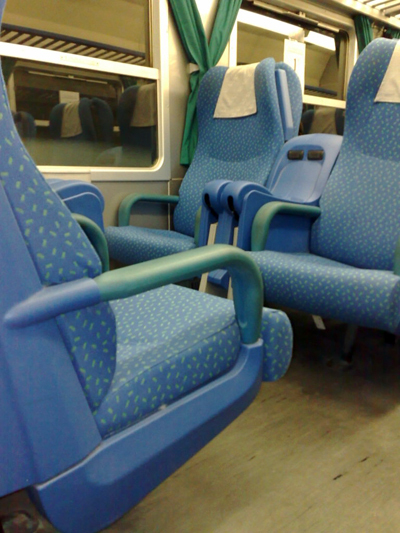 This is the first class carriage of the regional train to Milano and the difference between it and second is only that it is less crowded. The seats are exactly the same. 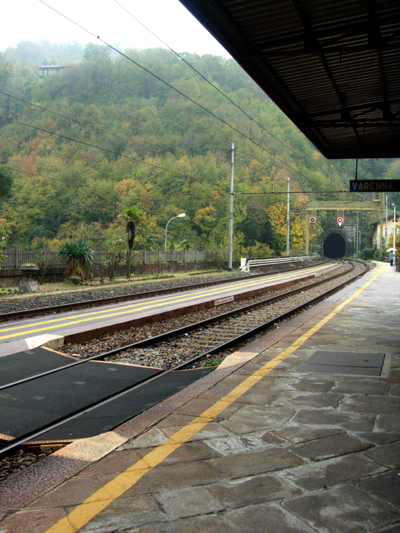 We were a little late into Milan as our train was delayed at Varenna by the train going in the opposite direction arriving 5 minutes late. As there is only one line through the tunnel we had to wait.